which just got a lot tamer ! After opening two new high speed quads Jackson Hole is now an intermediate’s playground with over 40% blue terrain to suit all levels. But the steeps, bowls, chutes, and spectacular tree skiing, still call for you. Your home will be the luxurious ‘Lodge at Jackson Hole’ with an indoor and outdoor heated pool, outdoor Jacuzzi, 2 spa treatment rooms, fireside lounge, and full service ski shop. Daily gourmet breakfast buffets, fitness center, and shuttle transportation to mountain & town. Highlites include après ski parties at the famous Mangy Moose and the Million Dollar Cowboy Bar and group dinners at the fabulous ‘Gun Barrel’ Steak & Game House and Bubbas BBQ across the street. Of course the main focus of the trip is 4 days of skiing on “The Big One”. The tram provides a true leg burning run of 4,139 vertical feet and access to Rendezvous Bowl, a high alpine experience with “jaw dropping” views. The gondola, 3 high speed quads, 4 fixed grip quads, one triple, and 2 doubles will provide continuous skiing, not standing in line. Epic snowfall (459”) plus 2,500 acres consisting of 10% beginner, 40% intermediate, and 50% advanced provides a variety of terrain for an unrivaled mountain experience. Your 5th day will be at Grand Targhee; one of Ski Magazines 10 best mountains you’ve never skied, is all about powder and tree skiing on 70% intermediate level terrain. The unique town of Jackson features wooden sidewalks, authentic saloons, great restaurants and shops. 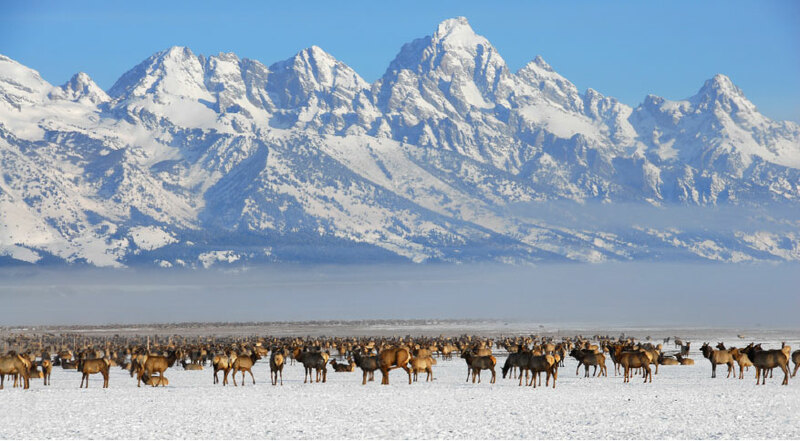 The National Elk Refuge with sleigh rides among the elk is just outside of town. Nearby Yellowstone Park offers winter adventures for wildlife viewing, snowmobiling, winter hiking, and a visit to Old Faithful. The Jackson area also offers cross country skiing, horseback riding, dog sledding, or a snowmobile trip to Granite Hot Springs for a relaxing soak and lunch. 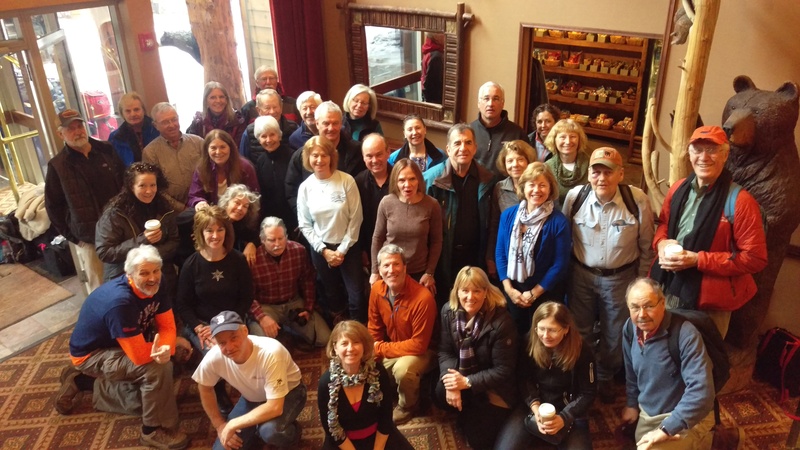 Come to Jackson Hole for that ski week where “old wild west memories” will be made !